“Can you imagine living with a deep trust in your being – so strong that you know without a doubt that you are the Heart, the One Being, living uniquely as you, the local, particular, ordinary person you are? Can you imagine having no confusion about who you are, not fundamentally different or separate from your body, others, the world…. the Divine reality? The Sun in the HEART of every human being and all sentient beings is “rising”: the radiant feeling-intelligence of our eternal nature and condition is intensifying, coming alive and awake in us as both the source-engine and the emergent expression of what and who we are becoming. This “rising” is as natural a process as being human itself and with guidance it can lead to Radiant Whole Body Awakening. The HEART is our humanness and our divinity all at once, our Totality Identity encompassing all Spirit and all Matter. It is the Mystery of all mysteries, the Love-Unity that holds us together even when life appears to be falling apart. As individuals and as a species we have been suffering and perpetuating a chronic developmental predicament, “the Spirit/Matter split.” This nearly universal split manifests in and among us as a paradigm, a worldview. It creates and continually reinforces in each of us a fundamental sense of separateness, confusion, and incompleteness. 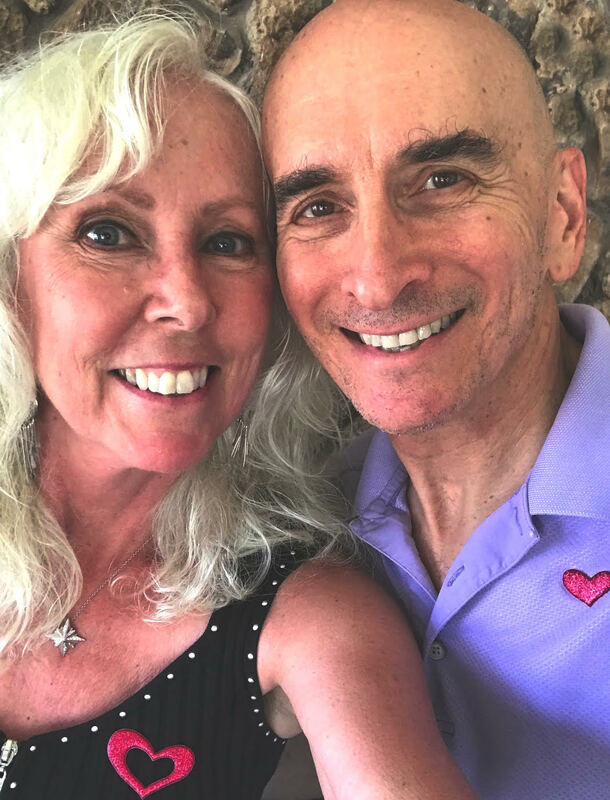 For over 22 years, Saniel Bonder and Linda Groves-Bonder have been helping hundreds of people move into their own unique expressions of Embodied Awakening. Their work — Waking Down in Mutuality® — is a primary expression of what human beings go through when the HEART becomes ever more Self-aware in, as, and through them. In this workshop, Saniel and Linda will discuss key elements of the three foundational principles of this process, Waking, Down and Mutuality, and how you can explore and integrate those principles to further your own Embodied Awakening. There will be a 20 minute talk, a short period of Q&A for immediate questions and responses, followed by 15 minutes of gazing and meditation, after which we will open the rest of the event for questions and answers.